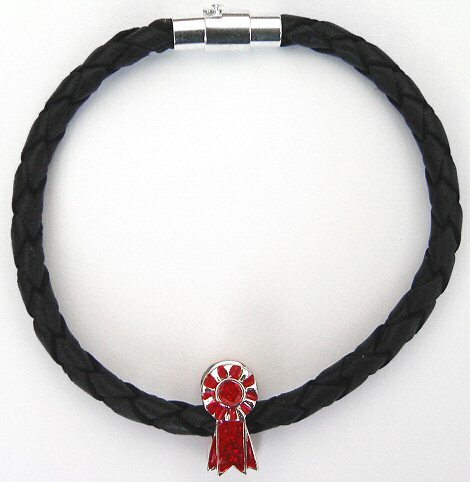 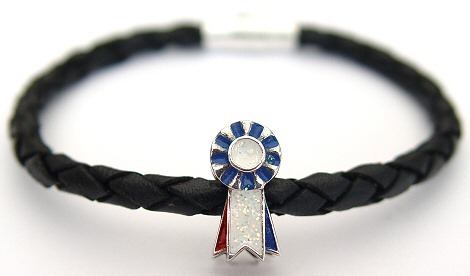 A Sterling Silver Red enamelled Winners Rosette bead on a black, braided, real leather bracelet. 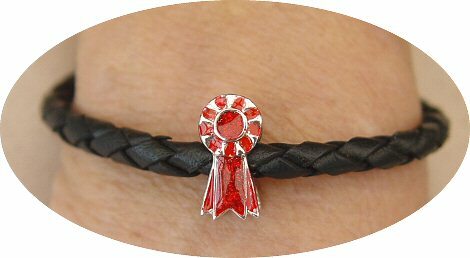 The Rosette bead is 3D (same on both sides), is stamped 925 and the red enamelling contains metallic flakes for extra sparkle. 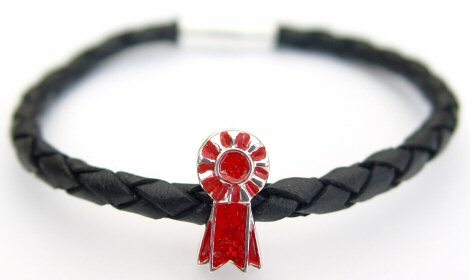 Short Description:- Winners Rosette Bracelet: Sterling Silver Red Winners Rosette bead on a black, braided, real leather bracelet.